There are only three places on earth, where ELV orders the same thing every time he goes: the double-double (animal style) at In-N-Out Burger, the jarret de porc a la choucroute at Brasserie Lipp in Paris (France, not Texas), and a Caesar salad, New York strip, and toasted ravioli at the Golden Steer Steak House. When we do, in a small, personal, bizarre little way, we feel for a few minutes like everything is right with the world. ELV has eaten at the Steer at least twice a year since the 1980’s. It doesn’t have the best, dry-aged steaks in town,* nor does it make the best Caesar Salad. ** It hasn’t any eye- or palate-popping items on its menu, and the kitschy decor has never been able to make up its mind whether it wants to be a bordello, the Long Branch Saloon, or an ode to the Rat Pack. What it does have is a soul. An inner essence that comes from being in the same spot since ELV was in the first grade (1958); from having a team of older, skillful waiters who seem to like their jobs, and from working off a menu that waltzes with the steakhouse genre like a reliable old hoofer, even though it’s as dated as a Cook E. Jarr punchline. You come here for steaks, even though Italian items — veal and chicken in predictable guises — are given equal billing on the right side of the menu and are, on the whole, reliable if unexciting. In the past we’ve also found the pastas serviceable (if decidedly old school). We can even remember having ordered a huge Dover sole once, and trout almandine — neither of which had us kicking ourselves for ordering fish in a place that screams at you (with its name, signage, and all the large caliber firearms on display), that it hates fish. Those steaks are always impeccably cooked — the 16 oz. strip butchered the way it’s supposed to be — not like some pristine, prissy, unrecognizable rectangle of meat. Priced at $40, it represents something of a beef bargain these days. The peppercorn sauce they serve with it has a nice, deep-heat, black pepper kick, and the kitchen does equally well with bearnaise and hollandaise — both of which they provide in copious portions at no extra charge. Take that, celebrity chef steakhouses! The other cool thing ELV gets here are good, old fashioned, St. Louis toasted (really deep fried) ravioli, which are great for soaking up two pre-prandial Beefeater martinis — which he also gets. *** The marinara sauce served with them may not be house-made, but somehow, once we settle into one of the black, faux-leather booths in the front room (don’t even think of sitting in the back with all the conventioneers), none of that seems to matter. We’re dining in the shoes of Sammy, Dino and Frank. Their ghosts, along with those of Bobby Darin, Louis Prima and countless others, still haunt this joint, and if you listen closely, you can almost hear “Beyond The Sea” playing amidst the tinkling of highballs and whiffs of cigarette smoke. ELV’s standard issue meal here runs about $100 (including tip), and is more than enough for two adults — which also describes how much he drinks in these historic, booze-soaked environs. * Because of the ambiance, history, friendliness, comfort level and price (and the fact that the steaks are plenty beefy, well-trimmed and well-cooked), this is one place ELV doesn’t give a Hoot (Gibson) about how the beef is aged. ** ELV wishes the lettuce were better trimmed, the cheese was of better quality, and the bowls were well-seasoned and wooden. On the plus side, they make them to order, will fine tune the dressing to your liking, and give you all the anchovies and croutons you want — either in the salad or on the side. What a great review. It is nice to see you going to iconic places and telling the truth about great meals without all the hoop-la that Vegas sometimes overpowers you with. Classic and Simple is sometimes the best. It may not be the best restaurant in the world but if it brings memories to a person it makes it a top restaurant. I remember growing up and going to a small Italian restaurant with my parents for their anniversary and thinking it was the “most fanciest” place in the world and always was so impressed by the food. After growing up and working in restaurants all over, I went back to that restaurant one day and realized that some people might think of it be run down (especially with the burnt out neon in front) but to me those memories I had of a child make up for any shortcomings that the restaurant had. Thank you John for writing a review not concerned with 1000yr old tapestry of the first crusades on the walls or our beef from special Japanese Kobe special midget cows named King Tutu. Thank you for writing something that took away the Vegas BS and offered you a bit of warmth in your heart. I still haven’t ventured to the Steer but have been meaning to give it a shot. And I’m sure my vegetarian wife would love the toasted ravioli and Caesar salad. The menu does say they charge $5 for any of the sauces — peppercorn, hollandaise, or bearnaise — perhaps they waive it? ELV cannot recall ever paying for any of the sauces…and no one in this place has the slightest idea who he is. Perhaps they waive it because he always seems to be having such a good time! Thanks for the post and the link now works. Nice to finally see a reliable review of the GS, I’ve always been curious. How does it compare for you with the other grandaddy, Bob Taylor’s? The picture of “Jarret de porc à la choucroute” given into this article does not correspond at all to a menu of Brasserie Lipp in Paris ! I love to dine. 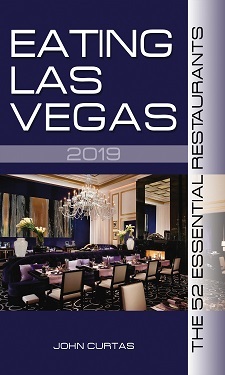 When I planned my trip to Vegas, the perfect restaurant was the big question. I read your review and opted on the Golden Steer. When the taxi pulled up in front, I was leery. Once inside, I started to fall in love. The decor was original Rat Pack, the Piano Man was playing Sinatra and I was greeted at the door as if I was a local and they were happy to see me again. We were seated in the Sammy Davis Jr. Booth where we could enjoy the piano. I enjoyed the T-bone- the Best Steaks on Earth, they are correct, it was cooked to perfection. My date is a veggie and was served a large platter of the freshest vegtables available. Service was as perfect as my steak. I was informed that most of the staff have been there over 30 years, they enjoy working there as much as we enjoyed dining there. Not every restaurant serves Banana Foster, so we order that for dessert and I am not sure which we enjoyed more – the show for preparing it at the table or the actual tasting it. The entire evening was perfect to say the least. The meal was delicious and the staff did everything right with a smile and even a bit of humor thrown in. I then knew I made the best choice for my Vegas trip.